Age has hit mom swiftly, but she still tries to contribute to the family funds. I appreciate her methods. They’re…. creative. 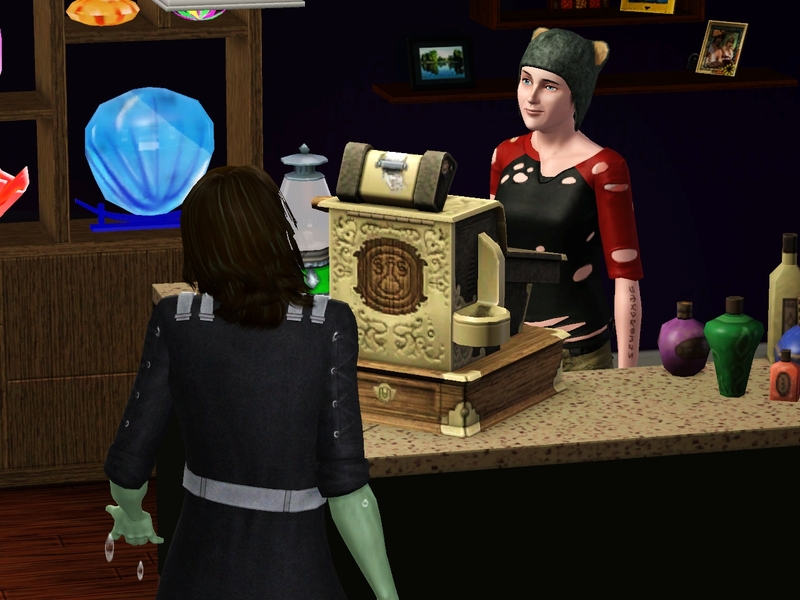 Mom’s Private Investigation business has really been on the rocks recently, and §19 pay the rent and feed a household of six sims. I had to think of some way to make money, and fast. Getting a regular job is just out of the question, though. I am not going to reduce myself to becoming a wage slave for The Man. I have standards. The rain kept the sun off my skin, so I was able to go out earlier in the afternoon to look for some source of income. Perhaps it was the remnants of the sunlight glinting on the ground that gave me inspiration. 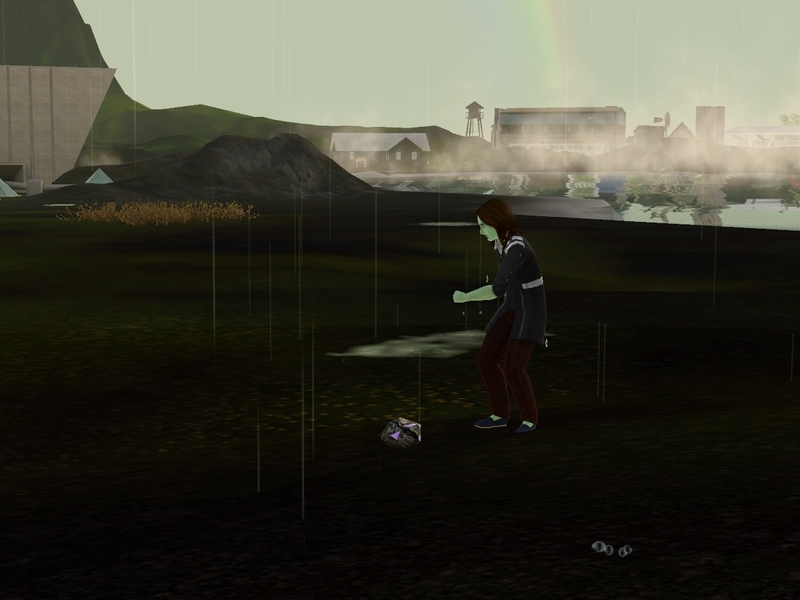 Aurora Skies is a treasure trove of minerals. 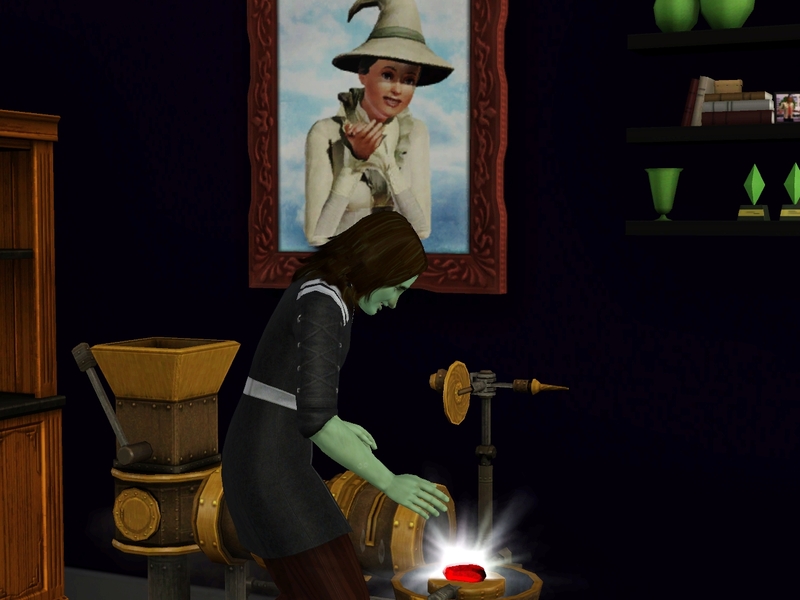 Sims have all sorts of uses for minerals. Both art and science. I’d be doing society a favor by collecting and distributing the minerals I find. With that goal in mind, I headed at vampire speed to the consignment store. I got there right before it closed. I’m lucky they keep late hours. “Yeah right,” the proprietress said. It’s great that the Consignment Store keeps a gem cutter. My family would never let me run this thing while they’re asleep. “Would you stop that racket?” the proprietress shouted. What was she expecting, anyway? With a collection of profitable gems on consignment, I headed home to sleep the sleep of the dead. While I slept, my family did family stuff. Helen got a call from her classmate Evan Clark, who asked her out on a date. Evan’s a pretty interesting guy. He says he was some kind of science experiment conducted by his parents. I guess that’s as reasonable an explanation as any. The date started out well. Evan told Helen that he thought she was beautiful, and he’d always had a crush on her in school. Then he started yelling at her for not passing him notes in English class. Helen is now screening his calls. Mom’s good friend Yuri Apple-Svard invited Mom to a pool party with her husband Stefan and Jakob Ingberg. When she arrived, the Apple-Svards had decided to ditch their own party, but Jakob was still around. “This is a nice pool!” Mom said. Mom swam around while she waited for Jakob. It started to get dark. Mom suddenly realized that she’d been swimming for hours. She was exhausted. Even worse, her skin was all pruny. But how to get out of the pool? She knew there was a ladder around somewhere. Where could it be? With her last gasp of strength, she grabbed the deck and pulled herself out of the water. To heck with ladders anyway. She wandered into the Apple-Svard house, looking for Jakob or Yuri, but the place was deserted. Someone had recently eaten dinner and then left. So strange. I was just up and looking for breakfast when my phone rang. Holy crap, Erin! Don’t scare me like that! Here we have our second mate candidate for Franklin: Evan Clark, a plantsim. This adds to Jiao Hatfield, who is a genie. 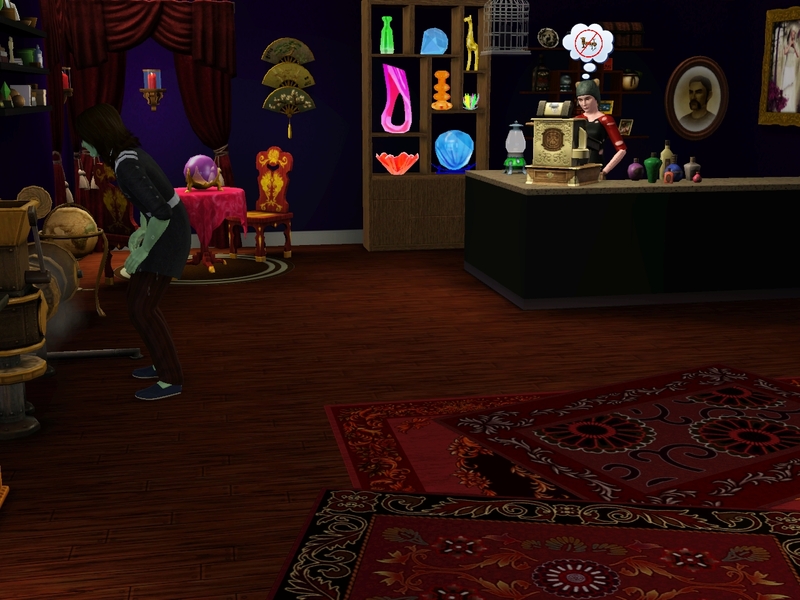 The Wonderlands have a grand tradition of pansexuality, so all YA, Adult, or Teen sims are candidates (i.e. teens can be aged up). Evan is a stock sim from Aurora Skies who was a toddler when the Wonderlands moved in. 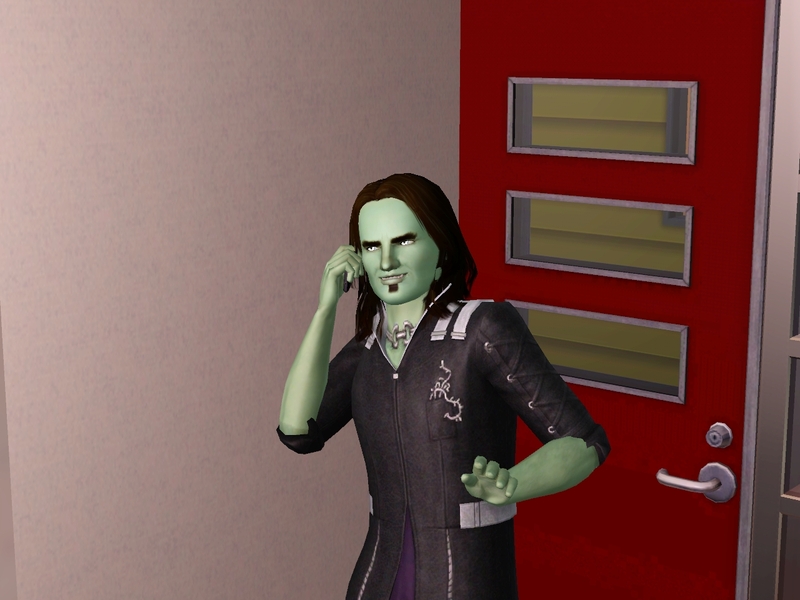 I assigned supernatural status to a bunch of random sims, and apparently he was one of them. I love his face. LOL, good one, Erin, almost drown in the hottub-sized pool. So all spouses (and spouse options) need to be supernatural? That’s a new twist. I quite like the genie boy and the plantsim, would be happy with either of them. IKR?? Where could the exit to the pool possibly be? Yeah, this is designed as a supernatural genetic legacy. 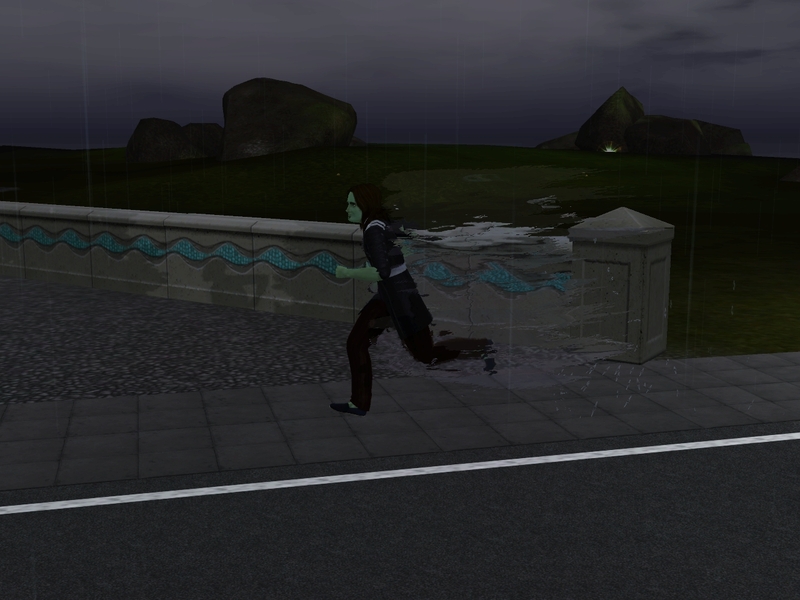 I have NRaas Hybrid set to a maximum of three supernatural states in one sim, and I’m breeding weird hybrids. I’m also breeding for interesting faces. So the spouse needs to be a supernatural not already in the bloodline with itneresting genes. 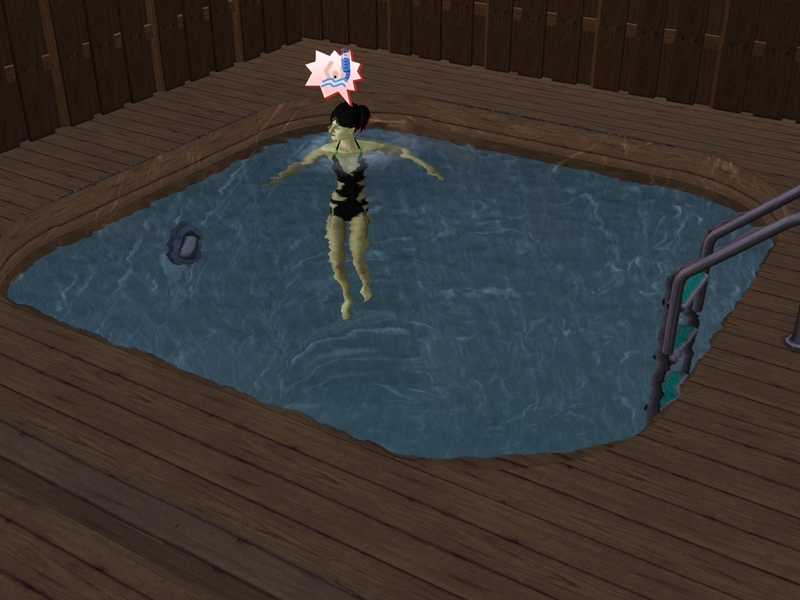 I was wondering if there was a glitch with Erin not being able to get out of the pool. 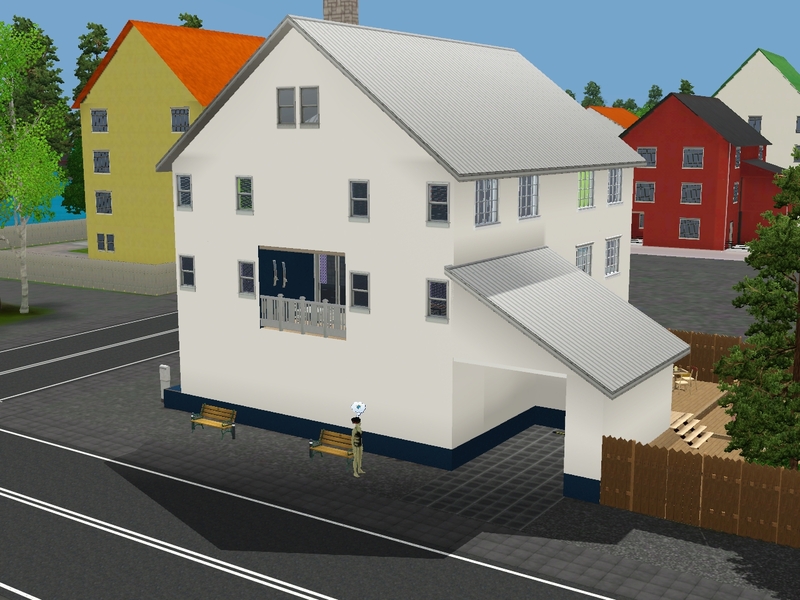 Did she finally find the ladder or are Sims 3 sims able to get out at the edges and she finally did? Evan does have a really pleasant face. 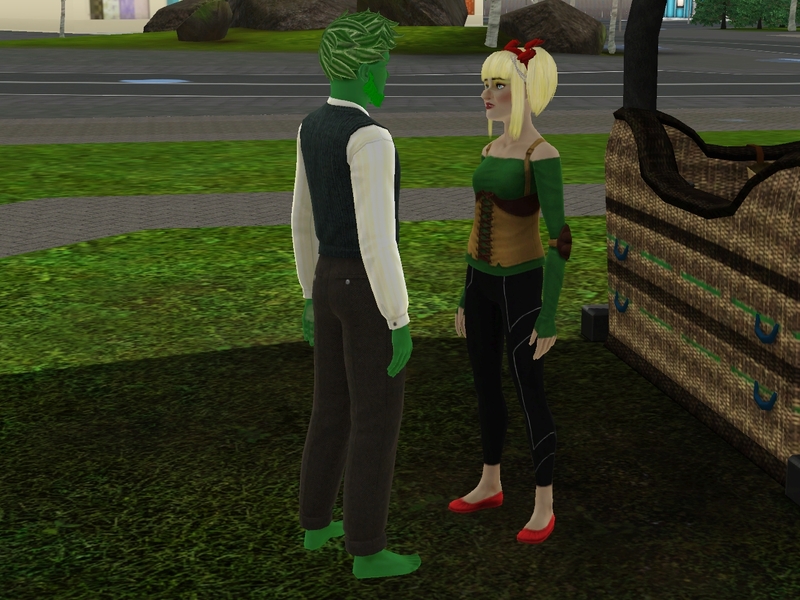 A plantsim would be fun to watch, as a reader, too. 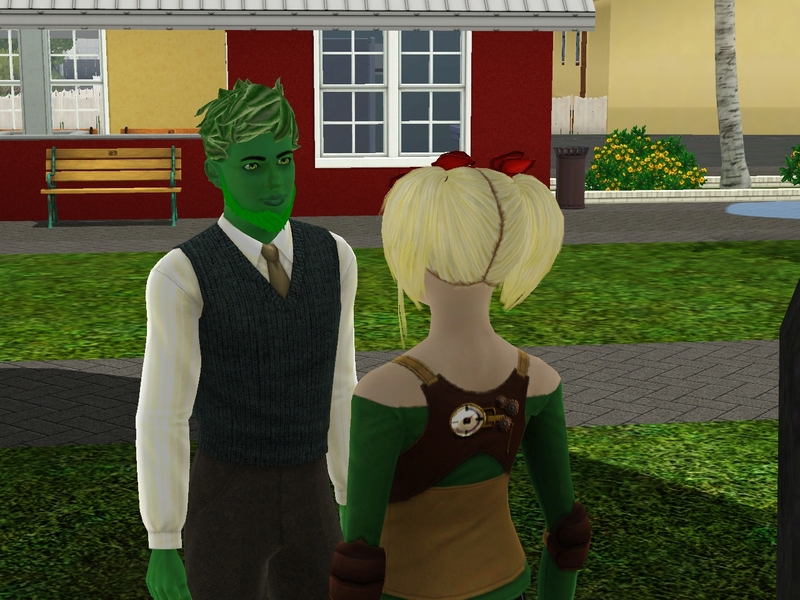 I don’t know anything about the genies or plantsims. Erin pulled herself up on the deck. Sims 3 sims don’t need to exit by the ladder, though I think they do that by preference. I’m kind of wondering if the ladder glitched when Jakob climbed out, and she was waiting to use it after him. But that’s just a guess. 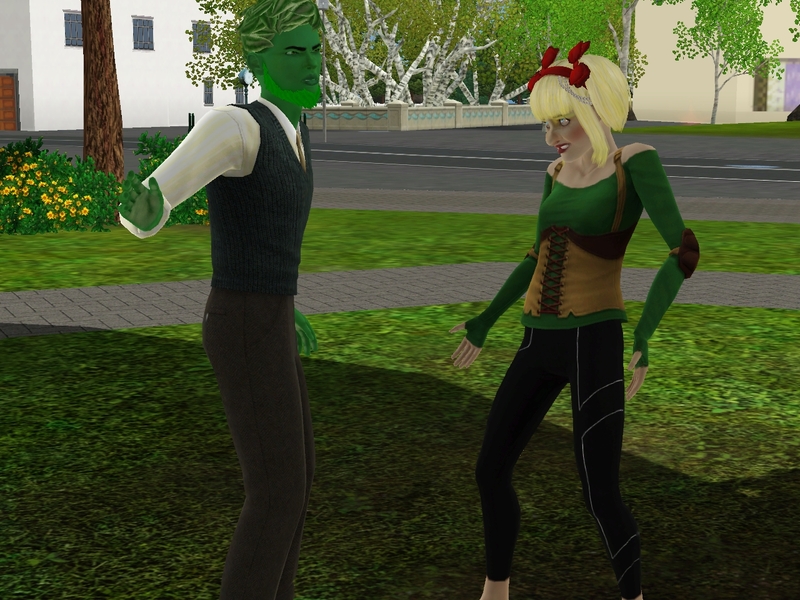 A plantsim could be fun if it will do its plantsim interactions autonomously. 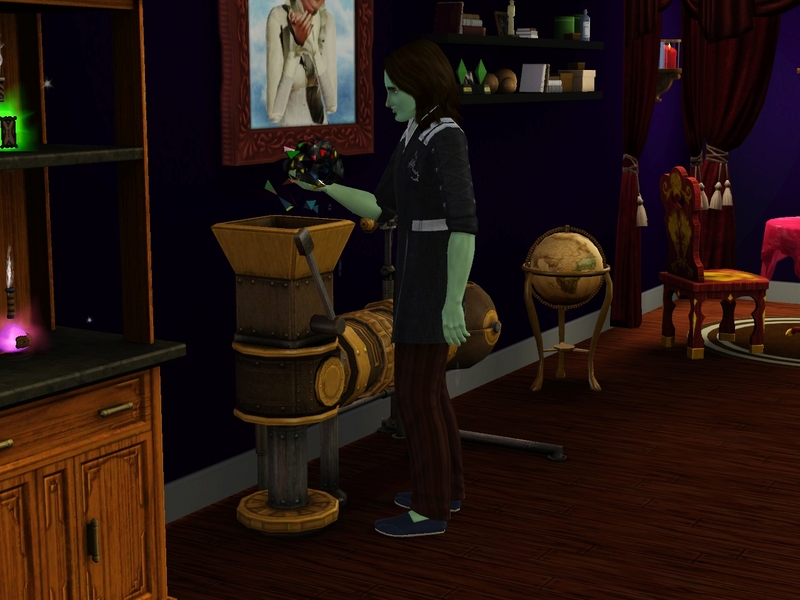 Vampires don’t try to drink from other sims autonomously, which I a bummer. OTOH, their Intimidate interaction is autonomous, and it’s hilarious.